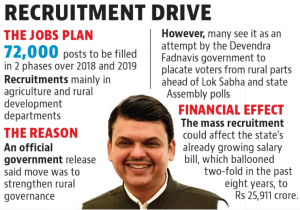 Chief Minister of Maharashtra, Devendra Fadnavis announced a total upcoming vacancy of 72000 under the state Govt. in fields mainly focused to bookmark Agriculture and Rural Sectors. The drive will be conducted in two phases. In the first phase of the drive, a total of 36000 seats will be filled by the end of 2018. In second phase of the recruitment, another 36000 seats will be filled by the end of 2019. Sectors like agriculture, rural development, Home, Public works, Public health, water resources & horticulture are going to get a great boost with upcoming recruitment drive. This is the first time since 2015 that the state govt. of Maharashtra announced any Vacancy. Due to rising wage bills, back in 2015 State of Maharashtra banned the creation of new jobs. This is a great opportunity for all the Aspirants from Maharashtra. Due to various agrarian issues taking place across the state, Govt. is bound to provide jobs this time. There are 1000 jobs vacant but the government showed no hope to aspirants yet until the CM itself announced the recruitment for 72000 seats. There is heat & distress in the villages of Maharashtra and this might come as a relief for them. While the Govt. Of Maharashtra is finally giving their people a ray of hope to find a decent govt. job, Prepare yourself for all the Govt. Exams by taking Toprankers Mock test. 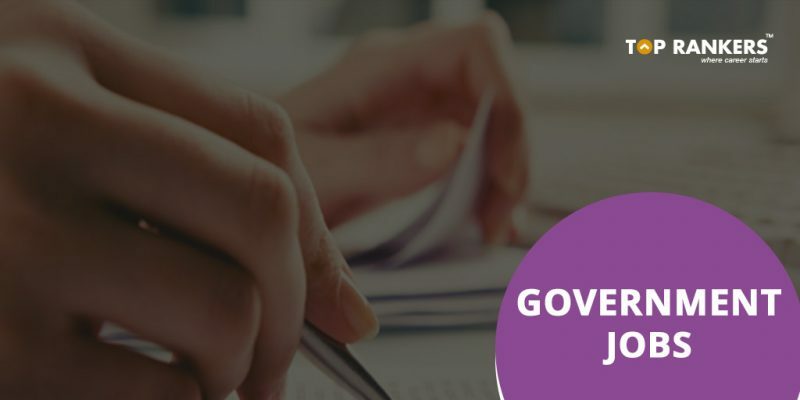 Mock tests will help you kick-start your preparation and surely will help you grab upcoming govt. jobs across the nation.